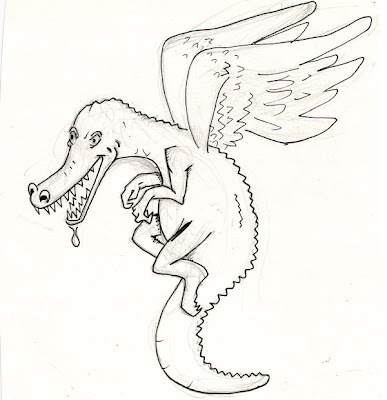 I drew this for Tao Lin because I gave him nightmares about alligators and bats and mosquitoes. I wanted to draw one of each, but it turned out like this. It's a blood-sucking flying alligator. Sorry.